Did you know that there are now over five billion mobile phone connections across the world? The popularity of this ubiquitous device is obvious: It works remarkably well to make our lives easier. From contacting friends on Facebook when you’re bored waiting for your order to arrive at a restaurant to getting a glucose reading from your smartphone, there isn’t a shadow of a doubt that our mobile phones have changed our lives beyond recognition. Since our phones are expensive and we carry them around all the time, and since we depend on their functionality and store all types of information on them, it only makes sense to get the right case for the make and model you’re carrying with you. So, if when the newest iPhone comes out, tentatively called iPhone X for now, you’ll want to consider the best iPhone X cases. You don’t want to lose your entire contact list because your phone slipped out of your hand! When smartphones first came out, security wasn’t much of an issue because the technology was so new that nobody knew how to hack into them. Unfortunately, some hackers fit the description of evil geniuses and this is no longer true. To keep your information safe, you should consider a three-level approach: device protection, data protection, and app-management security. While you can probably get away with not upgrading your phone for a number of years, sacrificing access to the small innovations that occur with each new upgrade, there will come a time when you will want the new functionality available with the latest model. Realizing that people want to keep up with upgrades but not have to buy a new phone every few years, the smartphone industry is now exploring the idea of modularity —a way to add new features to your existing phone. Although innovation has slowed down, it’s a good idea of occasionally catching up on news about technological changes. Although you are probably already a versatile smartphone user, how much of your phone’s functionality are you using? 10%? 20%? For instance, what if you wanted to put together training for your downline with the use of your smartphone. How would you go about doing it? You can develop a live interaction with your downline with a large presentation screen and a roomful of mobile phones using a company like Poll everywhere. A little knowledge can go a long way in making your smartphone even more useful. The best way to find classes on how to use your phone better is to just Google for tutorials. For instance, if you’re an Android user, the free tutorials on GFC might be useful. If you think you don’t have time, then just squeeze mini-learning episodes when you’re waiting for someone to show up or there is a gap in your schedule and you don’t have anything better to do. Smartphone technology offers a wide number of ways to improve your business. Its impact on networking efforts has been substantial and could probably be measured in time saved and dollars earned. Besides the ease of calling, the computer functionality is priceless — you can use your phone to hop on a browser to check out a website, use satellite GPS to find your way to a new address, or take notes about some selling points you picked up at a meeting. 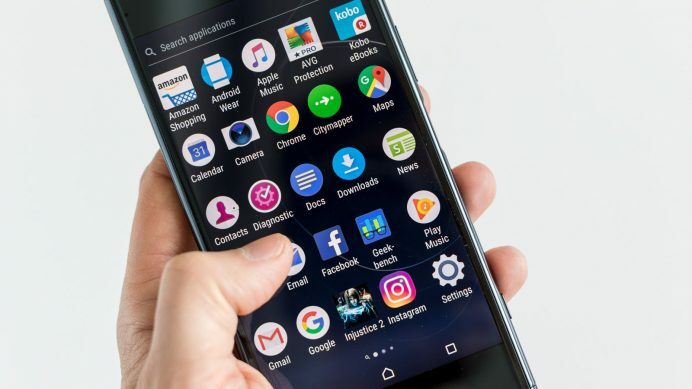 By following these five tips you will now be able to make even better use of your smartphone, improving protection, tightening up security, staying current with new functionality, and discovering new apps and Ninja user skills.